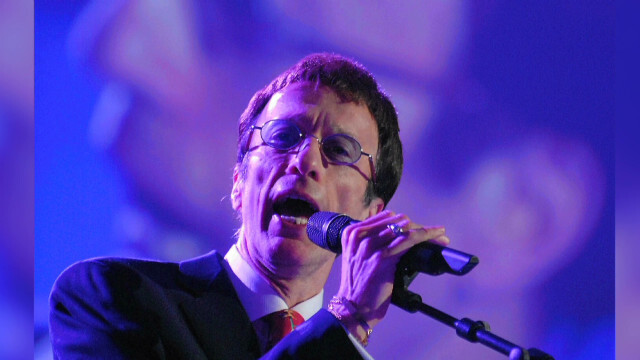 Singer Robin Gibb died Sunday after a long battle with cancer and other ailments. He was 62. Celebrities tweeted their grief Sunday night over the death of Bee Gees singer Robin Gibb at 62. Here is a sampling. RIP Robin Gibb. Continues to sadden me to see cancer take our loved ones. Gotta put a stop to it. A prison guard was killed and several employees injured Sunday in a riot at the Adams County Correctional Facility in Natchez, Mississippi, officials said. The 23-year-old guard appeared to suffer "blunt trauma to the head," said Adams County Coroner James Lee. The riot, which began about 2:40 p.m., was ongoing Sunday night, the facility said in a statement. Local and state law enforcement officials as well as authorities from the Federal Bureau of Prisons were helping the facility quell the violence. "The disturbance is contained within the secure perimeter of the facility, with no threat to public safety," the statement said. 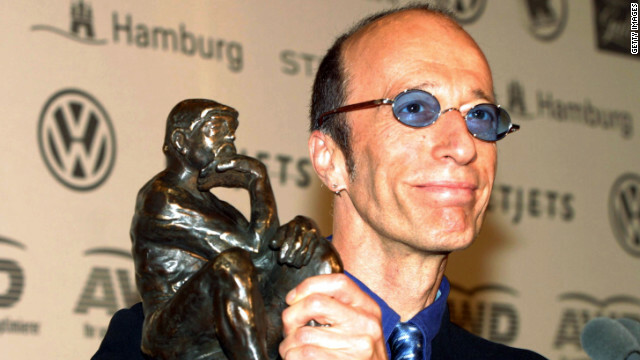 Australian singer Robin Gibb died Sunday, a message on his website says. Robin Gibb, one of three brothers who made up the disco group The Bee Gees, died on Sunday, according to a statement on his website. .S. gasoline prices have dipped another 6 cents due to a continuing skid in crude oil, a new survey finds, with more declines seen on the horizon. The average price of regular gasoline dropped to just over $3.78 per gallon over the past two weeks, according to the latest Lundberg Survey. That's down more than 12 cents from a year ago and more than 18 cents below its April 6 peak, survey publisher Trilby Lundberg told CNN. "The cause is continued erosion of crude-oil prices," Lundberg said. With crude oil currently trading at about $91 a barrel, down 11% in a month, "We will see another 5-10 cents in the coming weeks," she said. Lundberg's California-based company samples prices in about 2,500 filling stations across the continental United States. The latest, conducted Friday, found prices were still hight in the Western states - "but those prices are just trembling on a precipice," she said. "We can see wholesale prices have been crashing here, and they are about to hit the street," she said. 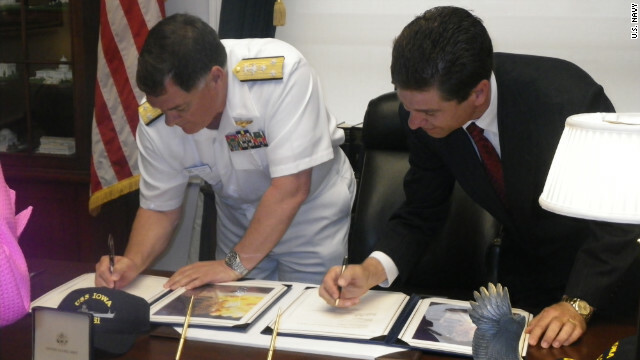 The Navy's Vice Adm. Mark Skinner, left, and Robert Kent of the Pacific Battleship Center sign the donation transfer contract for the USS Iowa during a ceremony on Capitol Hill in April. [Updated 1:23 p.m. ET] A weather system affecting the West Coast has delayed plans to tow the battleship Iowa from the San Francisco Bay to the Port of Los Angeles, the tow boat operator said in a statement on Sunday. Crowley Maritime Corp. said all activities related to the movement of the Iowa will be rescheduled once the weather system passes later in the week. [Posted 12:50 p.m. ET] The battleship Iowa begins what its expected to be its final voyage on Sunday, being towed from Richmond, California, south to San Pedro, where it will open as a museum this summer. The ship, launched in 1942 and decommissioned in 1990, has been part of the mothballed fleet anchored in Northern California's Suisin Bay since 2001, according to a report in the Contra Costa Times. Efforts to turn it into a museum in the Bay Area were unsuccessful over the years, and it was acquired by the nonprofit Pacific Battleship Center for use as a museum in San Pedro, near Los Angeles. Two more suspects have been charged as part of a group accused of being involved in a terror plot in Chicago during the NATO summit, prosecutors said Sunday. A total of five people have been charged. Prosecutors say the men planned to target President Barack Obama's campaign headquarters, the home of Chicago Mayor Rahm Emanuel, and several other law enforcement and financial sites. 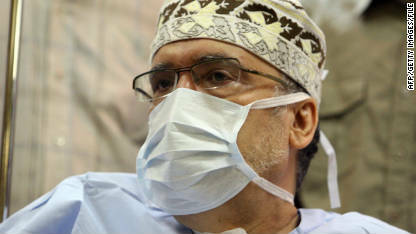 A photo taken on September 9, 2009, shows Lockerbie bomber Abdelbeset Ali Mohmed al Megrahi at a hospital in Tripoli. Abdelbeset Ali Mohmed al Megrahi, the Libyan intelligence officer convicted in the bombing of Pan Am Flight 103 over Scotland in 1988, has died in Libya, according to media reports. He died at home after a battle with cancer, his brother told Reuters news agency. Al Megrahi was freed from a prison in Scotland in 2009 after serving eight years of a life sentence for blowing up the Pan Am 747, killing all 259 on board and 11 in the town of Lockerbie below. Doctors who had been treating him for prostate cancer gave him just three months to live, and he was released on compassionate grounds. He received a hero's welcome upon his return to Libya, enraging many in the United States and Britain. 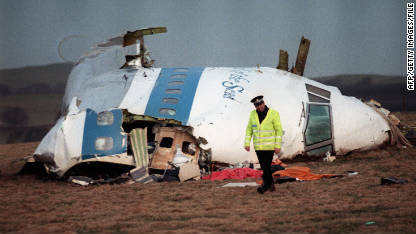 The destruction of Pan Am Flight 103 over Lockerbie, Scotland, in 1988 was the world's deadliest act of air terrorism until the September 11, 2001, attacks on New York and Washington, according to the FBI. Al Megrahi was the only person convicted in the case. As rebels swept into Tripoli two years after al Megrahi's release, politicians on both sides of the Atlantic called for him to be extradited, with the Americans demanding a trial in the United States, and British lawmakers saying he should return to prison in Scotland. CNN's Nic Robertson tracked al Megrahi down at the palatial villa Moammar Gadhafi had built for him, apparently in a coma and near death. Al Megrahi's family said his son and mother were trying to care for him with oxygen and an intravenous drip, but with no medical advice. 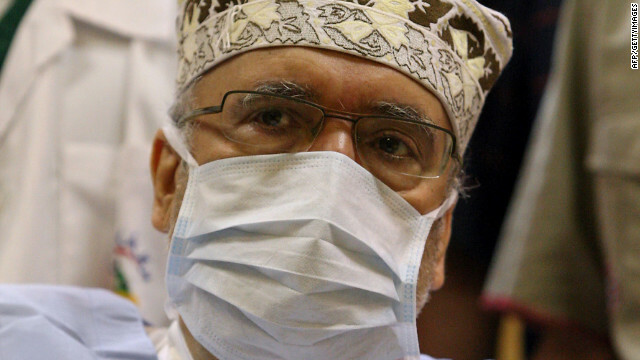 Al Megrahi's death may make it impossible ever to get the full story behind the Lockerbie bombing. CNN's Nic Robertson addresses media reports Lockerbie bomber Abdul Al Megrahi is dead. Phil Black charts the story of the Lockerbie bombing from the crash of the flight to the release of the convicted bomber. 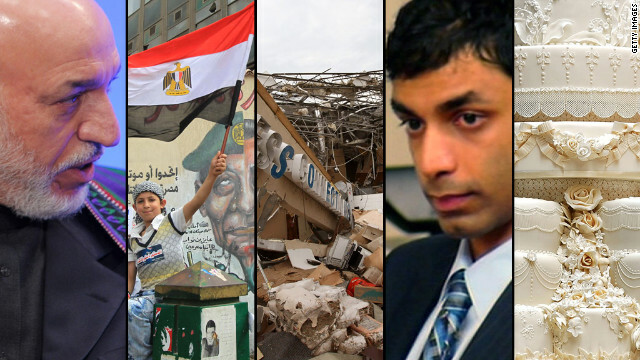 In a CNN exclusive, Nic Robertson finds Lockerbie bomber Abdel Basset al-Megrahi in Tripoli. 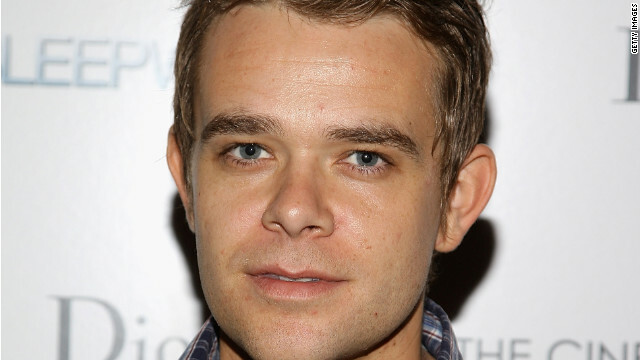 Nick Stahl played John Connor in "Terminator 3: Rise of the Machines." Actor Nick Stahl, who played John Connor in "Terminator 3: Rise of the Machines" and was reported missing by his wife last week, has told friends he is entering a rehab facility, his wife tells PEOPLE.com. Rose Stahl said she was "relieved" but also "skeptical" that the actor was actually entering rehab, according to the PEOPLE report. Stahl's wife had reported him missing last Monday. Police said Stahl had been frequenting Los Angeles' skid row and officers on that beat had been told to be on the alert for him, according to a Los Angeles Times report. Jenna Talackova, the 23-year-old woman who forced Donald Trump and his Miss Universe Canada pageant to end its ban on transgender contestants, fell short of the national title Saturday night at the pageant in Toronto. The crown went to Sahar Biniaz, an Indian-born, Iranian-raised actress from Vancouver. Biniaz, 26, will represent Canada at the Miss Universe pageant in December, according to the Miss Universe Canada website. Talackova didn't walk away from the pageant empty-handed. In addition to finishing among the top 12 semi-finalists, Talackova tied with three other contestants for the title of Miss Congeniality. The road map out of the war in Afghanistan is expected to be drawn up by U.S. President Barack Obama and other world leaders when they gather Sunday at the NATO summit in Chicago. Against a backdrop of massive protests - and a foiled, homegrown terror plot that targeted Obama and others - the summit will open with NATO countries trying to figure out how to meet a 2014 withdrawal from an unpopular war while shoring up Afghanistan's security forces. Security is expected to be tight at the summit following the arrest of three men, described by authorities as anarchists who plotted to attack Obama's Chicago campaign headquarters and lob Molotov cocktails at police during the summit. Police insist there are no imminent threats to the leaders of more than 50 nations gathering at the summit. Iran's finance minister believes oil prices could rise as high as $160 a barrel thanks to sanctions over its nuclear program, a prediction that comes just as the chief of the United Nations nuclear watchdog agency headed to Tehran on Sunday for high-level talks. "We must pay close attention when we speak of oil revenues and sanctions against oil sales, who are the winners and the losers of such sanctions?" Shamseddin Hosseini told CNN's "Fareed Zakaria GPS" in an interview that airs Sunday. "Indeed, it is difficult. But not just for Iran. And we can all rest assured that there will be a considerable increase in international oil market prices. Now, is this the best approach?" The comments came as the International Atomic Energy Agency said in a carefully worded statement that its director-general, Yukiya Amano, was headed to Iran for talks on what it described only as "issues of mutual interest with high Iranian officials." A strong earthquake struck early Sunday in northern Italy, killing at least three people and knocking down a church bell in the region, authorities said. Two people were killed in a ceramic factory in Sant'Agostino di Ferrara, and one person died when a workshed collapsed in Ponte Rodoni di Bondeno, according to Elisabetta Maffani, spokeswoman for Italy's civil protection agency. The 6.0-magnitude quake occurred just after 4 a.m. (10 p.m. ET Saturday), 4 kilometers (2.4 miles) outside Camposanto, northwest of Bologna, the U.S. Geological Survey said. The Italian civil protection agency said it anticipates more injuries as rescue workers make their way to remote villages in the mountainous area.